You may know Dolly Parton as a record-breaking country musician (and sequin enthusiast). At age seventy-three, she’s still gorgeous and iconic as ever, making news with her recent appearance in YA adaptation Dumplin’ and her possible BTS collaboration. What you may not know is that she’s been a philanthropist for decades now. 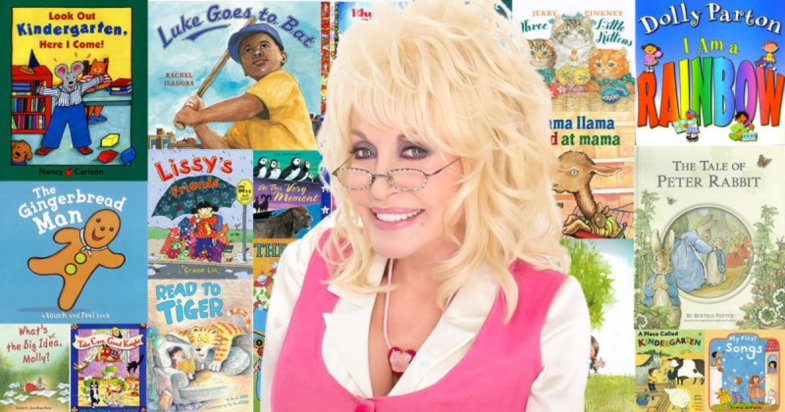 Dolly Parton’s Imagination Library (DPIL) is a charity providing free books to children in order to encourage intellectual development and a lifelong love of reading. DPIL has provided over two decades worth of books to deserving children regardless of family income. Founded in 1995, the program mails free, “high-quality” books to children from the moment they leave the womb to the moment they step foot in their first classroom. While the program was initially only available in Sevier County, TN—where our beloved Dolly Parton is from—the charity gained national recognition. By 2003, the program had given children around one million books. The program is now international, operating in Canada, the UK, and Australia. As of today, Dolly’s vivid imagination has brought the Imagination Library to Ireland. Before he passed away, my Daddy told me the Imagination Library was probably the most important thing I had ever done. I can’t tell you how much that meant to me because I created the Imagination Library as a tribute to my Daddy. He was the smartest man I have ever known but I know in my heart his inability to read probably kept him from fulfilling all of his dreams. Inspiring kids to love to read became my mission. In the beginning, my hope was simply to inspire the children in my home county but here we are today with a worldwide program that gives a book a month to well over 1 million children. It’s been quite a journey but we have so much more left to do. I would love for your community to join our family so please take the time to explore our website. Let’s share this dream that all children should grow up in a home full of books. The charity may have started off as a figment of Dolly Parton’s imagination, but this dream has seriously come true. Since its founding, DPIL has distributed over 100 million free books to children… and that number will only continue to grow as children in Dublin register to receive their free books. As DPIL launched in Ireland, Parton urged parents to enroll their children: “I know there are children in Ireland with their own dreams… the seeds of these dreams can often be found in books, and the seeds planted in a community can grow across the world.” All children under the age of five in Dublin 24 now have access to the program—and its free books! The program has ambitious goals: 21,600 books for 3,200 children within the first year. After that, Irish program coordinators hope the program will spread throughout the country. Interested parents can register their young readers at www.cdi.ie/imaginationlibrary!